There are so many incredible things beyond comprehension in the world and it seems that the number of mysterious incidents are increasing. Therefore, a school was established where individuals who posses unusual abilities can receive proper training. 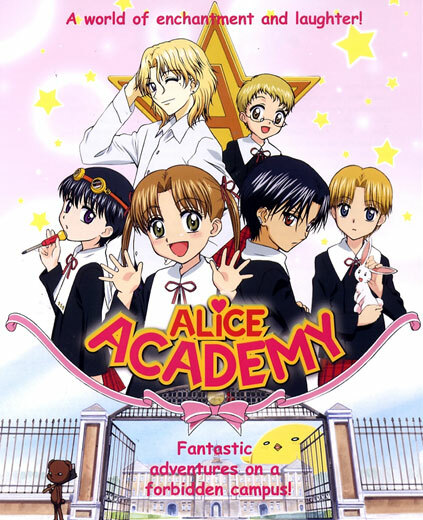 This school is called "Alice Academy" and a person who possesses a very special ability is called "An Alice of X". "Alice Academy" is not a secret of hidden institution of sorcerers and black magicians like the place where Harry Potter studies! It is a legitimate public school for gifted students. All the students and also the teachers of the academy have very unique talents. Unexpected clamor and commotion happen on the campus with regularity. As a precaution, the academy strongly recommends that anyone not possessing an "Alice" should stay away! Mikan's close friend, Hotaru suddenly moves to a school in a big city. Mikan misses Hotaru and follows her to a school called "Alice Academy", where she finds that only students gifted with special abilities are accepted. Mr. Narumi, one of the teachers, gives Mikan a one week trial. Mikan is overjoyed to see Hotaru, but the bullies in her class use their Alice on her. To their astonishment, Mikan protects herself from their attacks by neutralizing the malicious energy. This is her Alice. Mikan is officially accepted to enter the academy, not knowing what is waiting for her in this paranormal world of Alice Academy.